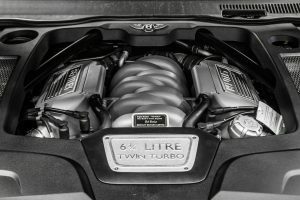 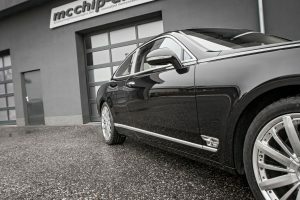 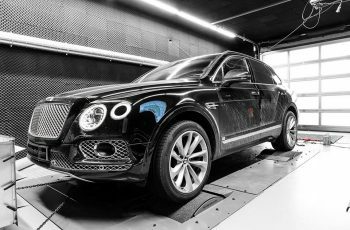 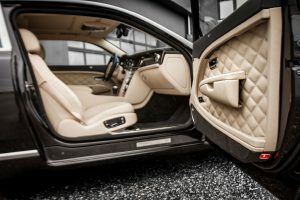 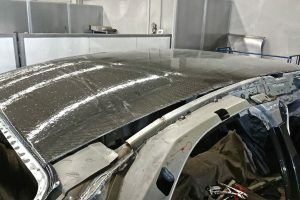 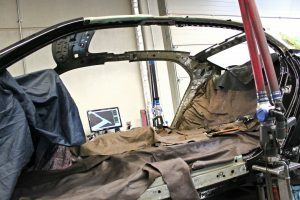 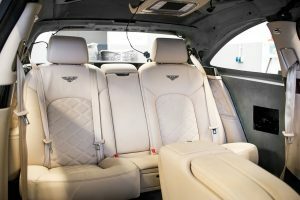 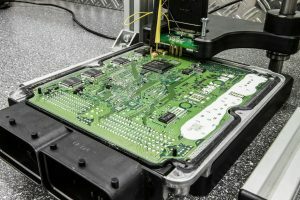 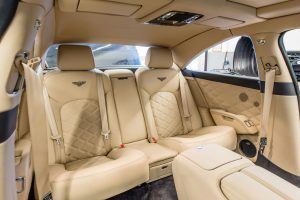 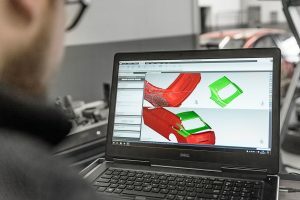 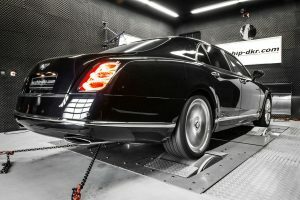 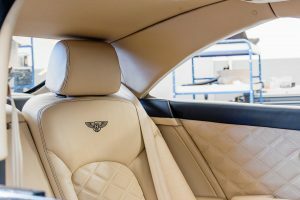 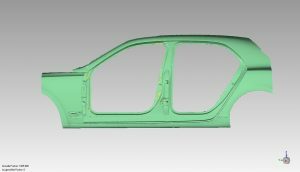 Since the beginning of the time consuming Project, in which countless adjustments have been made to the erstwhile limousine, the project “Mulsanne Coupé” is final. 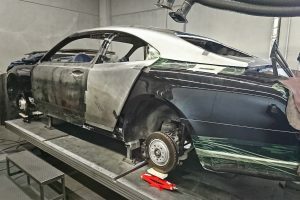 After completion of all body and interior work, the Mulsanne Coupe shines again, as before the conversion, in the usual “Black Sapphire” paint. 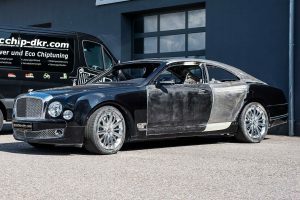 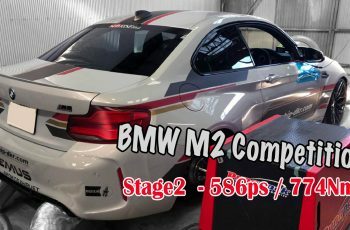 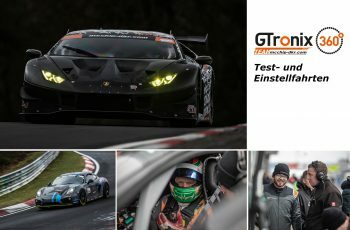 Nothing more reminds on the drastic bodywork and the completely removed interior. 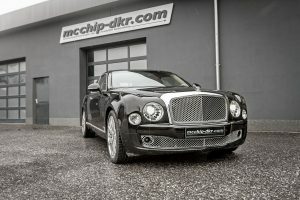 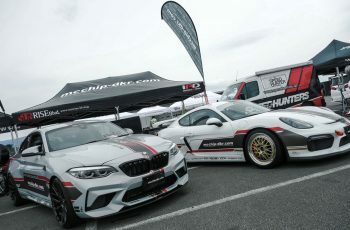 The staggered B-pillars of the coupe now fit harmoniously into the overall shape of the former 5-door Mulsanne. 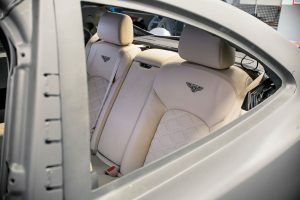 Now, the interior lets no conclusions about the shapes of the past. 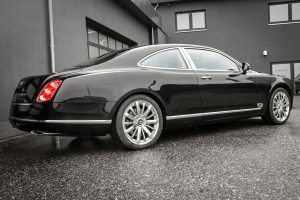 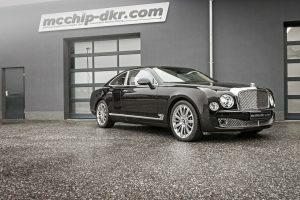 The Bentley Mulsanne Coupe is now ready for delivery to the client ARES Design in Modena.